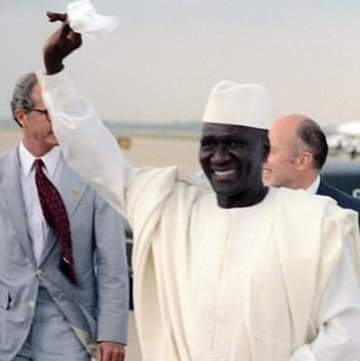 The first President of Guinea Republic alhaji sekou toure once said that our text books taught Africa about the battle of Gauls examples of it was about the life of Joan arc or Napoleon, the list of French departments, poem of lamarine. People always have a saying that African never had historical existence and cultural life but it’s totally wrong. Biafra is never an invention of any of the European countries because it has existed before the advent of Europeans to Africa. The ancient maps of Africa as of 1660 to 1707, it clearly shows that Biafra was in it. It’s well known as biafara in African map even during the time European came to Africa, Biafra was in African map as bight of Biafra. Even today, the floor of the British Broadcasting Service (BBC) London has the name Biafra encrypted on the floor as part of countries that exist. The clear facts is that the ancient maps of Africa definitely shows that Biafra exist before Nigeria but European invasion to Africa causes serious chaos to our history. Nevertheless the agitation for the restoration of sovereign state of Biafra started officially after British amalgamation by Col. Chukwuemeka Odumegwu Ojukwu as the military governor of Eastern Nigeria which compromises Abia, Akwa Ibom, Anambra, Bayelsa, Cross River, Ebonyi, Enugu, Imo and Rivers made declaration of sovereign state of Biafra at Imo, ahiara mbaise on 30th of may 1967. The announcement brings fierce fight between the Easterners and other part of the country as they believed Biafra existence will mark the end of Nigeria and they see one reason that stopping Biafra has only one solution which is killing and starvation. The gruesome war that lasted for thirty months was presumed to have consumed over 3.5 million biafrans. Moreover since the cease of fire that could have been avoided “no victor no vanquished” civil war, a lot of things have been done and many policies has been established by the Nigeria government to ensure Biafra will be stopped but non has ever succeeded as many groups that calls for Biafra restoration keeps coming up while they always face serious encounter by the same Nigeria government to ensure Biafra restoration never comes back to life. The sudden rise of indigenous people of Biafra (ipob) has play a vital role in the quest for Biafra restoration. One day sit at home order announced in the year 2017 may 30 despite the economic challenge the masses are experiencing was recorded a huge success which over 85% of South East South South Nigeria that made up of old Eastern region that marks in memory of our falling heroes during the Nigeria civil war and the all days killing of Biafrans all over Nigeria in daily bases. However, this is not the only news worth reading, would you want to consider reading the latest Biafra news Nigeria . Click on the homepage navigation link above to see more interesting articles about Biafra.